This provides a significant improvement in performance over a passive system, with the additional benefit that the crossover characteristics may be fine-tuned using a remote-control application. The unit may also be programmed to work with almost any other 2-way or 3-way loudspeakers. It uses high quality analogue input and output circuitry and a precision digital processing section to provide exceptional sound quality. It is supplied as standard with our Gaudi, Emperor and Loreley models and may be specified as an optional extra for our PQS-302 and PQS-402 models. What is the difference between an active and passive system? Most loudspeakers use two or more drivers to cover the full audio range. In the case of a 3-way loudspeaker, one driver will cover the low frequencies, one the mid-frequencies and one the high frequencies. Each driver will be optimised for the range it covers.If it is operated outside of this range, it will produce high levels of distortion and possibly result in the driver being damaged. A filter built in to the loudspeaker cabinet called a crossover, takes the signal from the power amplifier and splits it into frequency bands appropriate for each driver. The crossover uses inductors, capacitors and resistors, which are referred to as passive i.e. non-amplifying components and so this type of crossover is called a passive crossover. Figure 1 shows an example of a system with a 3-way loudspeaker using a passive crossover. Such a system can be comparatively simple, requiring only one power amplifier for each loudspeaker. 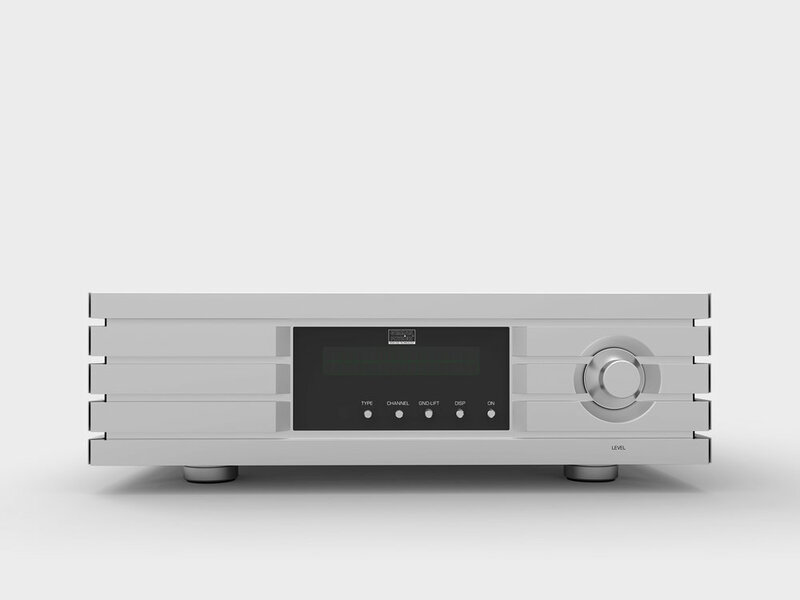 The passive crossover is omitted and a power amplifier is connected directly to each section of the loudspeaker. 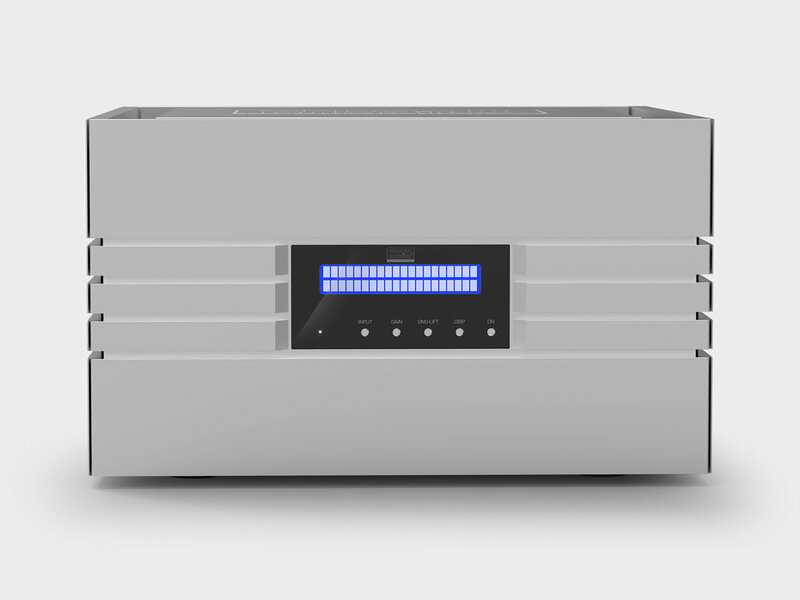 The signal to drive each power amplifier is provided by the active crossover, which takes its signal from the preamplifier and then filters it into the appropriate bands. Figure 2 shows an example of how the Emperor DSP-X digital crossover would be used to implement a fully active 3-way loudspeaker system. The filters in an active crossover may be totally analogue, or they may be digital. The Emperor DSP-X uses digital filters, as they allow more sophisticated filter characteristics to be implemented, enabling the loudspeaker designer to get much closer the exact filter characteristic that they wanted. What are the advantages of an active system? Although an active system is much more complex and therefore more expensive than a passive system, it offers several advantages, which are especially useful in very high-end systems. There is usually very little scope to adjust the frequency characteristic of a passive crossover to compensate for variations in frequency response caused by individual room acoustics. The Emperor DSP-X provides two means of adjustment to enable a more even frequency response to be achieved. The relative levels of the 3 output sections may be adjusted via a front panel control and more sophisticated adjustments may be made using a remote-control application. 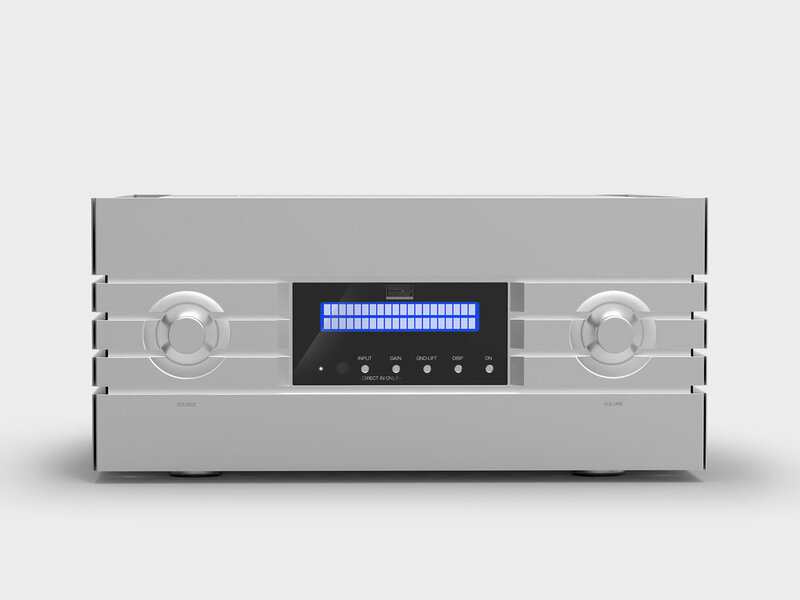 In an active system, the elimination of the passive crossover allows the power amplifiers to be connected directly to the drivers. This greatly improves the damping of the driver movement. This principally affects the low frequency drivers, significantly improving the clarity of the bass. Resistive components in the passive crossover dissipate power. Eliminating these improve both the efficiency and the dynamic response of the system. More power can reach the drivers and the amplifiers work with more headroom. The use of a digital filter allows the loudspeaker designer to get much closer the exact filter characteristic that they wanted, without having to accept the compromises imposed by the limitations of passive designs. If a passive crossover is driven at high levels for a prolonged period, it can result in the resistive components heating up sufficiently for their values to change and have an effect on the crossover’s characteristics. Whilst this is usually a minor effect, the Emperor DSP-X eliminates the possibility of this occurring. In our experience, with a very high-end system where changes are more easily heard, the improvement in sound quality, especially in the areas of bass clarity and overall transparency that the Emperor DSP-X crossover provides, would be difficult to achieve by other means. This improvement is enhanced by the Emperor DSP-X’s equalisation adjustment features. The Emperor Extreme crossover is programmed at the factory with the necessary settings for the particular German Physiks loudspeaker it is to be used with. All the user has to do is to connect it into their system and switch it on. The level of each of the three outputs may be adjusted + or – 6dB using a high-quality analogue level control, which is operated via a knob on the front panel. This provides the user with a simple and easy means to adjust the basic tonal character of the system. On 2-way German Physiks loudspeakers the DDD drivers cross to the bass system at around 200Hz, so this control will essentially act as a bass control. On the Gaudi and Emperor, which are 3-way systems, the sub-woofer system starts around 70Hz, so being able to trim this level allows sub-bass adjustment. A more comprehensive equalisation adjustment is provided using a remote-control application which works with the digital processing side of the system. This can be used with Windows, OSX and iOS devices. It allows the user to set up to 8 filters where they have the choice of the filter type (bell, shelf, notch, or all-pass), centre or turnover frequency, Q or bandwidth and gain. These settings can be saved in user set-up memories and recalled as required. 100 user set-up memories are provided, which should be enough for even the most avid experimenter. The original factory settings, which cannot be modified, may also be easily re-called. This makes it very easy for the user to experiment with different set-ups, safe in the knowledge that the unit can quickly and easily be restored to its original state. The Emperor DSP-X’s internal software may be updated by connecting it to the internet via its rear panel Ethernet port. Great attention was also paid to the aesthetics and the mechanical construction. This is a very high-quality unit, so the look and build quality had to be of a commensurate level. The construction uses an internal steel chassis with a 15mm thick silver anodised aluminium outer case. This provides magnetic screening, together with structural rigidity to minimise the effects of external vibration. The fit and finish of the chassis is first class and this combined with the impressively smooth feel of the controls, reassures the user of the high level of quality that this product offers. What is an active system?